I believe that this must be the DERECO business train visiting the Boston and Maine headquarters in Boston. Back to back Alco PA's hauled the train of business cars that is shown here at North Station. The bankrupt B&M corporation was looking into possible suitors. 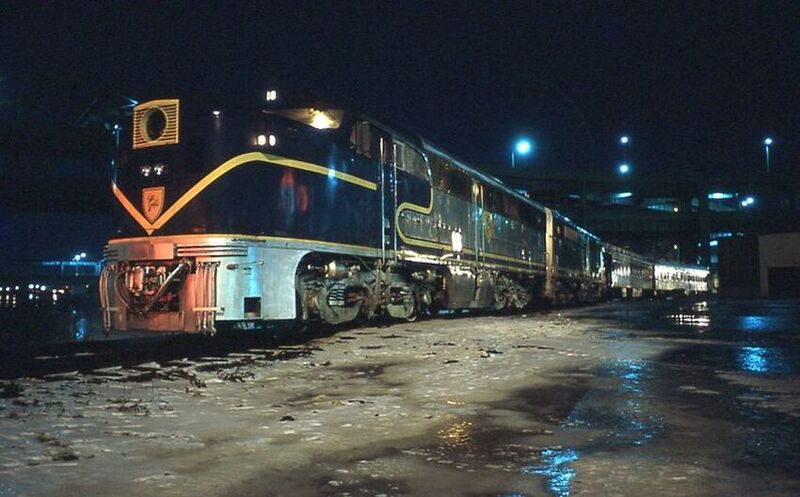 DERECO was a holding company that included the D&H and Erie-Lackawanna. Photographed by Ron DeFilippo, March, 1973.